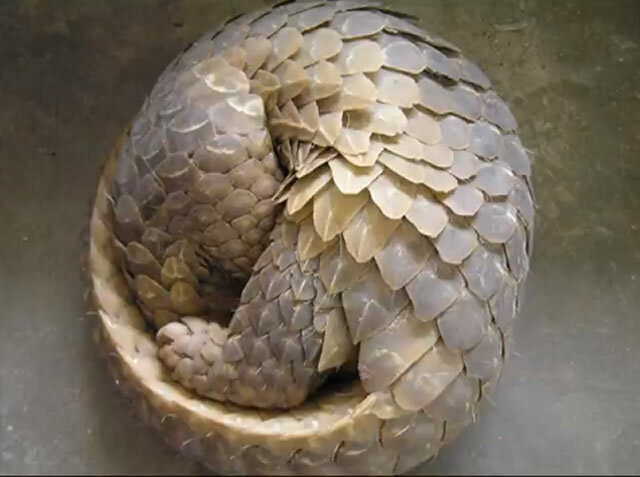 Bhopal, Aug 10 : Madhya Pradesh forest department arrested another key link in the Indo-China international pangolin smuggling racket from Mizoram. The accused, Laltlan Kunga, a resident of Kolasib district in Mizoram, was brought on transit remand to Madhya Pradesh and produced in Chhindwara court on Saturday. One kg of pangolin scales were confiscated from his house. Blood, meat and scales of pangolins are sold to traditional medical practitioners at a premium in south-eastern countries. Ritesh Sirotia, in-charge of state forest's special task force (STF) wildlife crime, told TOI that Kunga is a mediator between pangolin traders in India and China. "We have identified two Myanmar nationals, who are part of the poaching syndicate. Efforts are on to arrest them through Interpol," he said. He was into this trade for last five years. "Kunga was getting commission from poachers in India and Myanmar. He was assigned with task of smuggling pangolins and its scales to China," said the officer. As many as 38 people from seven states have been arrested, including 23 from Madhya Pradesh, seven from Maharashtra, two from Odisha, two from Andhra Pradesh, one from Chhattisgarh, two from West Bengal and one from Mizoram. Another key player of the gang has been identified as Amir Hussain Laskhar of Assam. He is absconding. Laskhar moved an application for anticipatory bail in the court. STF is also trying to arrest his female associate, Zobi Hmar, who is a tribal and part of the global smuggling ring. Last month, STF arrested Ashfaq Hussain, 63, a leather businessman from Odisha's Berhampur area. A Kolkata-based marine engineer and a corporator involved in smuggling Indian pangolins to China and Vietnam were arrested during previous operations. Accused allegedly confessed to poaching and trafficking 100 pangolins from Madhya Pradesh to China in the last 12 months. Those arrested from Kolkata have been identified as Jamal Iqbal, 59, and his son Danish, 24, a marine engineer. Eleven others, including an independent corporator were arrested from Chhindwara district. "Tribals were used to pick up pangolins from forests and paid Rs 400-500 per kg for scales. It was then forwarded to Jamal between Rs 2,000 to Rs 4,000 and then shipped to China where it's sold for around Rs 1 lakh and more. The operation to bust the pangolin racket was carried out by special task force (STF) of state forest department led by Chhindwara chief conservator of forests, Ritesh Sirothia, range officer Nitin Nigam and forest guard Chandra Sekhar Sharma. This ant-eating mammal with armour of keratin scales has been listed under Schedule 1 of the Indian Wildlife (Protection) Act, 1972, and International Union for the Conservation of Nature (IUCN) as an endangered species. Experts said, "If poaching continues, pangolin could go extinct." In traditional Chinese medicine, roasted pangolin scales are used for detoxification of blood, draining pus, curing palsy and stimulating lactation while its blood is used to treat asthma, cancer and reproductive problems.